Prepare for your first craft show with this project that creates an assortment of different sized body washes. 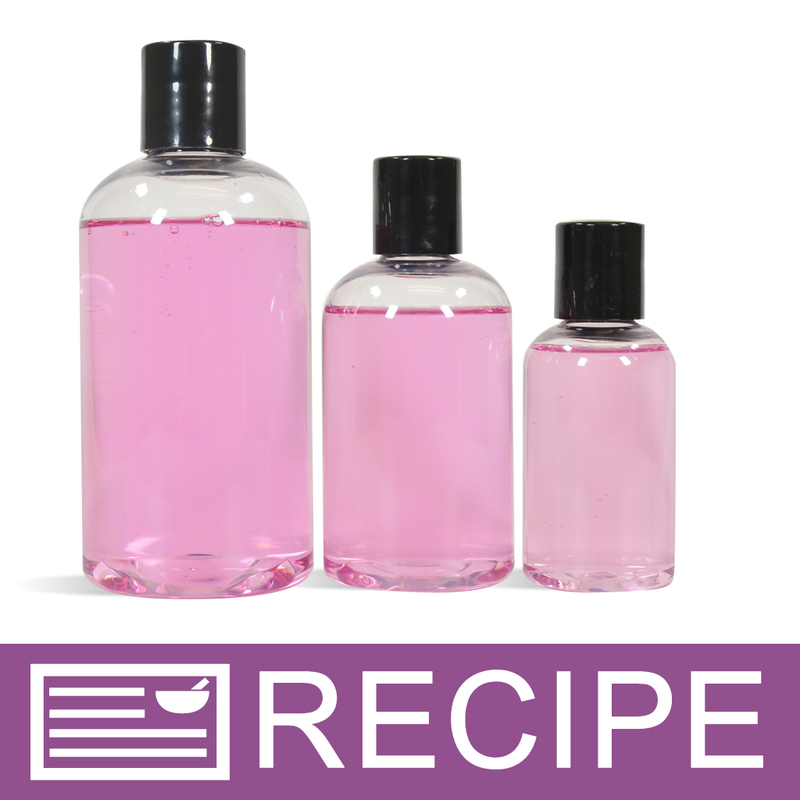 This easy project creates various sized bottles of black raspberry vanilla scented body wash. The clear shower gel base leaves the shower gel translucent while the stained glass strawberry red liquid color adds a touch of pink. Black raspberry vanilla fragrance oil adds the aroma of ripe black raspberries, dark plum and warm vanilla to really entice customers to buy this bubbly body wash! You Save $36.45 by purchasing this kit rather than buying the items separately. COMMENTS: Nice kit to try out when branching out from bar soap into liquid varieties. "Such a Yummy Easy Product!" COMMENTS: This was super quick and easy. The smell is fabulous. Very bubbly and the scent remains fresh on the skin for a good amount of time. "Wonderful Kit - A MUST BUY "
COMMENTS: This kit is very easy to make! The directions are simple and direct as well as the steps you have to take. The Black Raspberry Vanilla scent is amazing, I have friends that beg to product test for me when I made this! Lathers great, I will say that I did not add the max fragrance load allowed, because I didn't want it to be overpowering! This is a must buy if you are thinking of adding shower gels to your line and need a fast testing option! "Black Raspberry Vanilla Body Wash Kit "
COMMENTS: Excellent Product! Easy to use and make, I found that if you split the product up in to two large bowls the process will not only be easier to make but you will have at least 8 oz. extra to do whatever you wish, the product when put together and used in the shower really leaves your skin with that fresh feeling of being totally clean with no filmy residue as most body washes do, great product and highly recommended to everyone!!! "Black Raspberry Vanilla Body Wash Kit"
"Great starter kit for beginners"
COMMENTS: Good quality ingredients for body wash. Lathers up very well. COMMENTS: This is a great way to test a new product in your market area. Make a little batch that this kit provides without making the large investment of large batches. This product is simply plain and simple! The colors and scents mix well in the base product. Mix it up and pour it into the provides bottles. Create your own labels for the bottles and you are set to go! COMMENTS: This was so much fun to make!!! And it was very easy too. This was perfect for making Mother's Day gifts. It smells really good and makes your skin feel super soft. My mother and my in-laws have recommended this product to all their friends. COMMENTS: Bought this kit to add a little extra to my line of candles & body sprays. OMG, my customers went crazy, the bubbles, clean feel and of course the magnificent Black Raspberry Vanilla fragrance says it all. I would definitely recommend this product to everyone. Easy to use, love the bottles, I cannot say enough about this kit. You will not be disappointed when purchasing this kit! COMMENTS: Everything is in this kit to get a newbie off to a good start. Will purchase again. 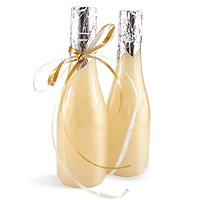 "Can I use one of the fragrance oils that I have without messing up the recipe? the FO I want to use has 0% vanillin "
Staff Answer You can substitute any fragrance you like for the one in the recipe. Each fragrance can effect the product differently, some may thin quite a bit and others thicken, so you do need to test. "Can I use FD&C Colors (Dyes and Lakes) instead of the stain glass colorant?" Staff Answer These will work in this product but we recommend mixing the dye color with a very small amount of water, then add to your base.